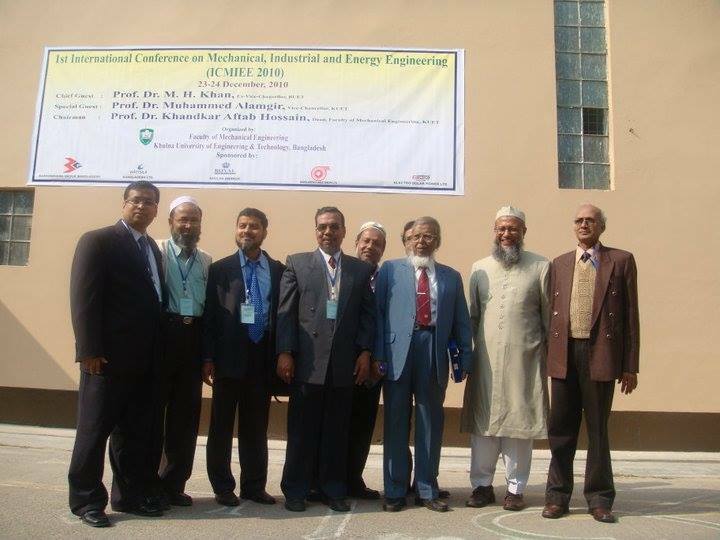 Welcome to Official Website of International Conference on Mechanical Industrial & Energy Engineering. 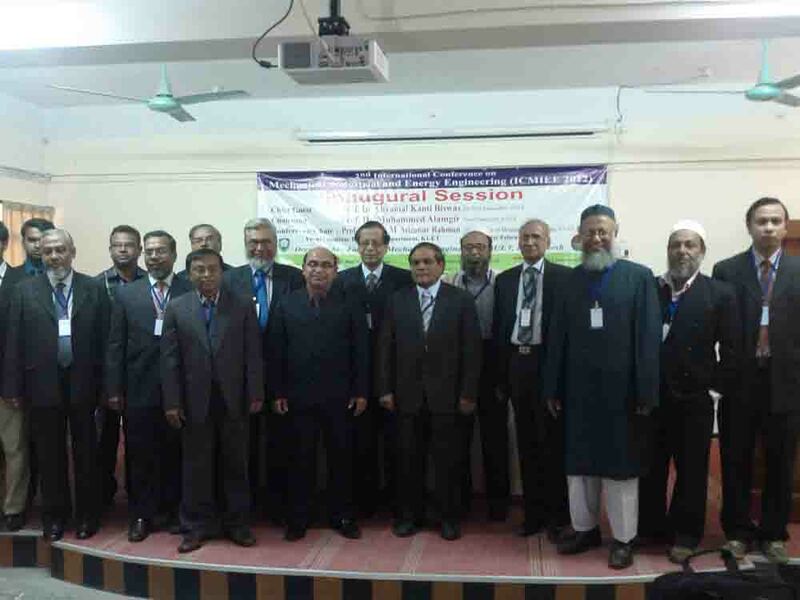 Conference will be held on Bangladesh during December 23~24. Aim objective of ICMIEE is to present the latest research and results of scientists(Preferred students, PhD students, Post Graduate students, Faculties and Researchers). Conference provides opportunities for different areas delegates to exchange new ideas and applications experiences face to face to establish research relationship to collaborate global partners. The field of Mechanical, Industrial and Energy Engineering has a great contribution to the technological development in many areas. Technological development can be enhanced through continuous research. 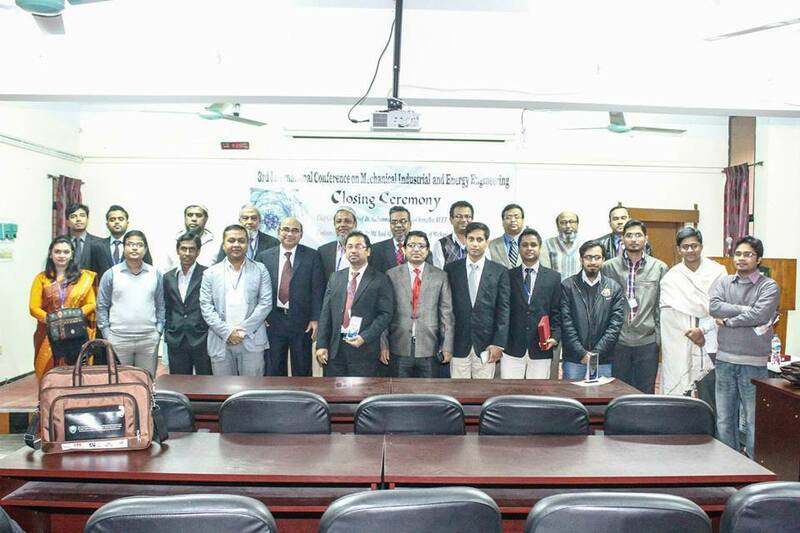 The Faculty of Mechanical Engineering, Khulna University of Engineering & Technology is going to organize the 5th International Conference on Mechanical, Industrial and Energy Engineering (ICMIEE 2018) on 23-24 December, 2018. It will bring great opportunities for both researchers and industrial communities to meet, discuss and share their research outcomes. Obviously this will develop a bridge among the researchers and the experts of the industry which is essential to meet the challenge of 21st century. So, this conference will provide a common platform for the participants throughout the world to exchange their views and share the ideas in the vast field of Mechanical, Industrial and Energy Engineering. Mechanical, Industrial and Energy Engineering have a great contribution in the advancement of technologies. Rapid technological advancements can be achieved through continuous research. 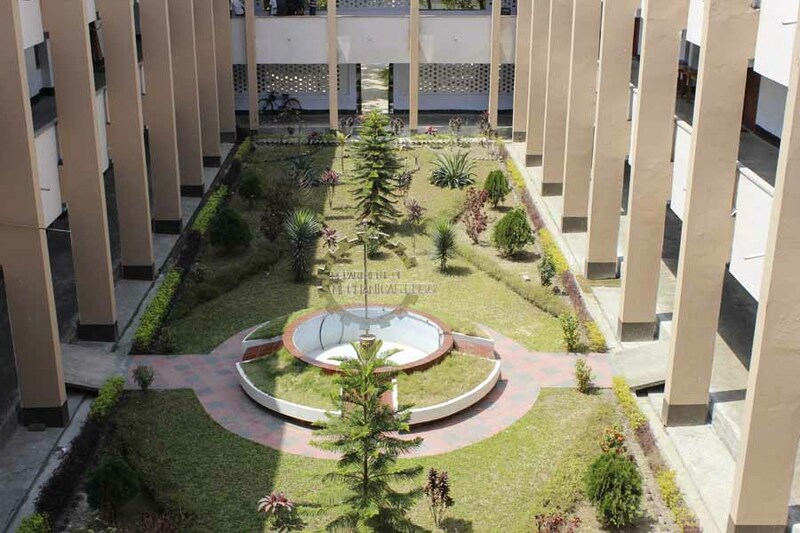 The faculty of Mechanical Engineering of Khulna University of Engineering & Technology (KUET) is going to organize the 5th International Conference on Mechanical, Industrial and Energy Engineering (ICMIEE 2018) on continuation of 2 years interval on 23-24 December 2018 in the industrial city Khulna of Bangladesh. The main objective of ICMIEE 2018 is to create an effective platform for researchers and technical experts to share their recent ideas, innovations and problem solving techniques in the vast areas of Mechanical, Industrial and Energy Engineering. It will be a great opportunity for both researchers and industrial communities to meet, discuss and share their research outcomes in the field of Mechanical, Industrial, Energy, Leather, Textile, Mechatronics and Chemical Engineering.